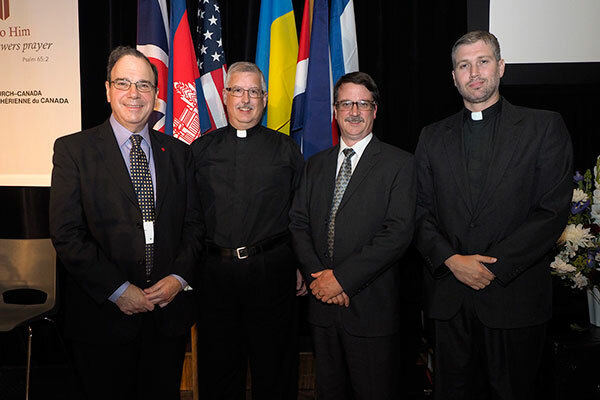 VANCOUVER – On Saturday, the National Convention in Vancouver elected the synodical Vice Presidents of Lutheran Church–Canada. The elections came the same day President Robert Bugbee was acclaimed to another term. Rev. Nolan Astley was reelected to serve as Vice President for the East District and Rev. Thomas Kruesel was reelected to serve as Vice President for the ABC District. Rev. Mark L. Smith was newly elected as Vice President for the Central District, succeeding Rev. Rudy Pastucha. Rev. Pastucha had been appointed to serve as Vice-President for the Central District in mid-2013. Subsequent votes determined the position each of the presidents will fill during the new triennium. Rev. Astley will serve as First Vice President, Rev. Kruesel as Second Vice President, and Rev. Smith as Third Vice President.